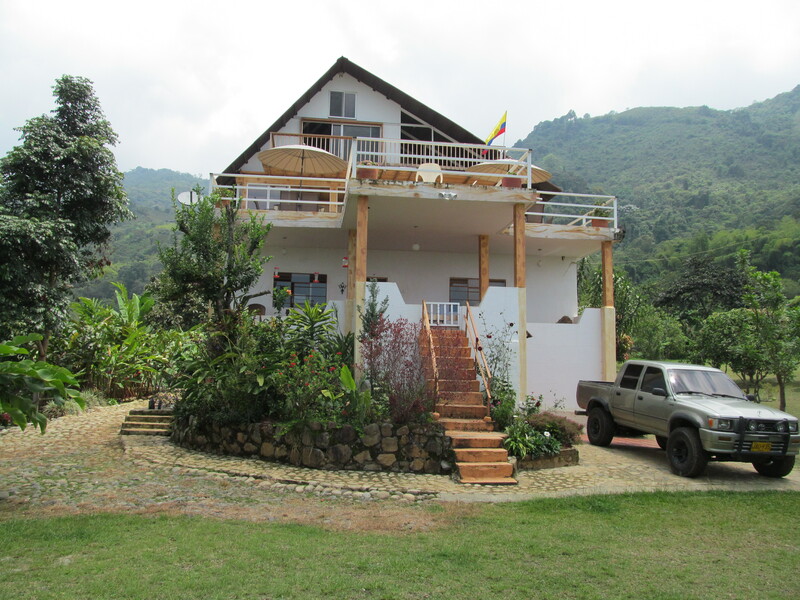 Everyone who follows my blog knows I live in Colombia, South America and own a Bed and Breakfast called Villa Migelita. I opened it last year and we are doing pretty good without a lot of advertising besides my Facebook page , Twitter, and Instagram account. I never post oops pictures because of my business, all has to look great of course! Villa Migelita is adding a bar next week. I have a partner who is a designer. He has made my farm into a beautiful place. We were recently featured in International Livings Incomes Abroad 2015 ( scroll to page 8), and it was an honor! So now business is picking up and it is time to not just be a house but a real hotel! We are quaint and cozy. Guests wander the grounds and our house freely. I have even woken up at 5 AM to smell coffee being made in the kitchen by a guest. I love it! They feel “mi casa es su casa” and it is true, my house is their house. We offer very personal service to our guests. 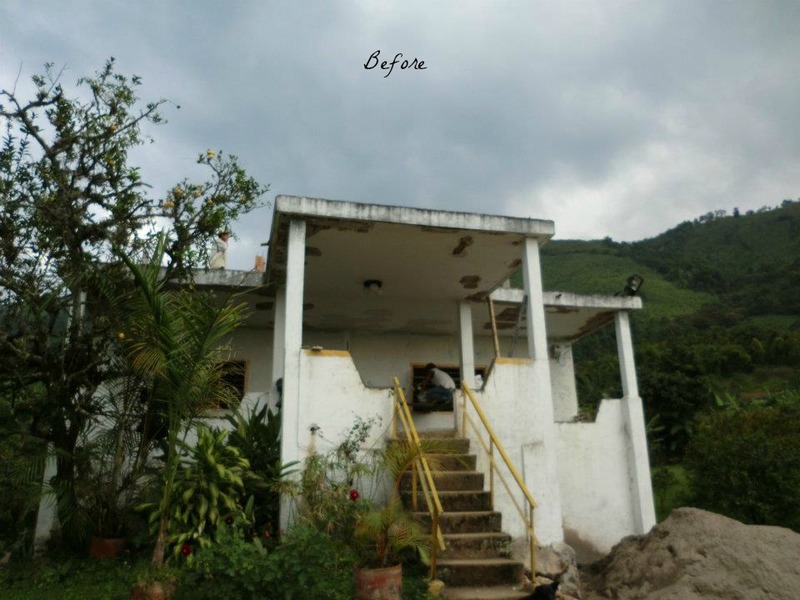 The way Villa Migelita looked when I first bought her was a place with potential. It has been four years of constant work and updates. Yesterday we went looking for wood for the new bar. It has to be in keeping with the plan and design of my house which is minimalist. The bar will be simple but functional. I took some pictures yesterday at the place I had bought furniture before, but they weren’t ‘post worthy’ …LOL. I stayed in the truck because it saves me money. If I am seen, gringa that I am, the price can go up significantly. I took some photos from my vantage point and they were not great, but I am going to show them. As you can see it is not pretty nor can you tell how beautiful the furniture will be. Therefor, I share a photo from my house of what this old wood turns into. I must add because I am a nature person and do not believe in cutting trees down for no reason this furniture is very old, thousands of years old to be correct. They dig into the ground for old tree trunks that have died and fallen by themselves. Perhaps through mudslides, or rotting but not just taken down for no reason. I see this often on my hikes here in Colombia. These last photos are a preview of the furniture and how it looks when I have a good picture. So next up is the bar, which I will share at some later date. Just for grins I will show you the empty spot where the bar will be. It is another photo just for me, but since you want oops here it is. No photo shop, just the beauty that surrounds me. I am very excited to see it all put together. Maybe this is the start of another venture. 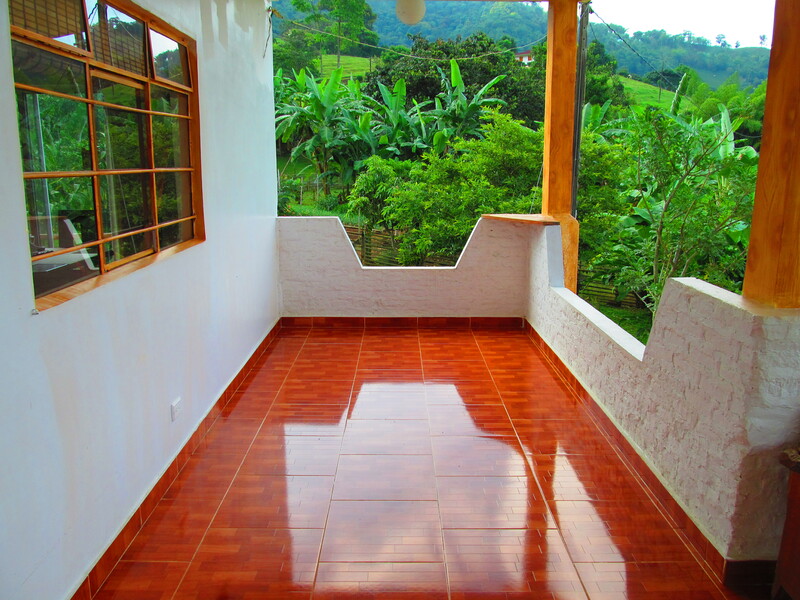 Not just a bed and breakfast but a place for Colombians to spend a bit of time and dance a little salsa. Looking really good. Is that porch floor actually wood??? Really nice. I love your furniture. It’s going to be beautiful! Everything that comes from this place is original and exquisite. I can’t wait to see it all put together. The bar stools come Monday and the bar is ready Tuesday…so I am excited! kind of finish do you have on those beautiful floors? the furniture on the porch is so neat. I’d love it. Granny the tile is shiny and I have a maid here almost every day, so they use a special cleaner in the water that makes it shiny too.